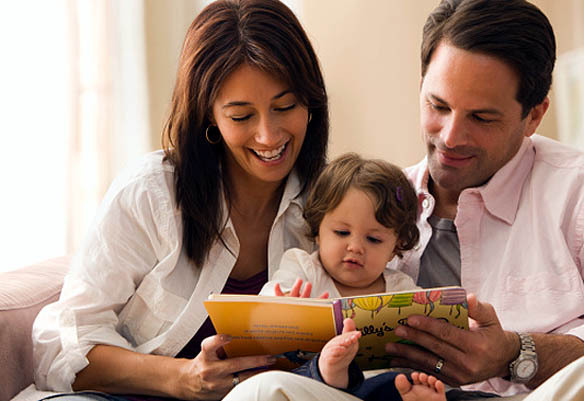 Reading to your child is one of the most pleasurable activities. I love reading to my little muffin and love it when she reads the same book back to me over and over again. Though she is 2.10 yr old and can’t read yet, but she listens to me when I am reading and in the most adorable way tries to remember the story and tries to recreate the story and read it back to me. I must say the journey to reach this far have been full of crazy nights of me running behind her to grab her attention and to make her listen to me when I would try to read to her. She would just refuse to sit with me and concentrate to what I was saying. Jumping on the bed would be more of a fun activity for her then, than listening to a story. Are you too struggling through the ” let me read to you” PHASE, while your child would simply refuse to sit still? PLEASE REMEMBER: Never force a child to sit with you while you read to him. This way you would end up creating a hatred in your child’s heart towards reading. Reading is a fun activity and this situation needs to be handled in a fun way. I still remember the days I would be trying too hard to get my little muffin settle down and let me read a story to her. I kept trying for almost a month. I would get frustrated that my daughter wouldn’t sit in my lap during story time and nearly threw in the story book until I came to a very important conclusion. Just because a child wont sit still and would be jumping around, it doesn’t mean they don’t like reading. This was indeed a game changer for me. Definitely a Victory !! 1. Its alright if they don’t sit still. I used to let my girl walk, jump, or dance around the chair. I used to sit in to read and even though she wasn’t, still she was listening. I wouldn’t let her talk or yell or sing, but I would not try to make her sit on her chair or in my lap. Soon she would come look at the picture, smile, walk away and then come back. It was a tad frustrating to me, but it was what it was and she enjoyed it. 2. You may distract your child while reading. I know this will pop a big question mark in all my reader’s mind- ” how will the child concentrate on the book if I distract the child?”. But I have found that by giving my daughter something sensory related to do, often helps her concentrate. I used to make my daughter sit on my lap and bounce her. If someone bounced me and I tried to concentrate on a book I’d probably throw up, but not my girl! She totally loved this way of reading. You can give them a ball or silent toy to hold and they will fidget. Somehow this actually helps free their mind to pay attention. 3. You don’t have to read word to word. When my girl actually made some progress in paying attention, I used to make sure not to prolong the story. Summarizing a page or story works great. Sometimes I used to read until I sensed she was about to check out, then I’d covertly skip to one of the last pages to round out the story. Can’t say if she noticed, but it gave us a chance to celebrate finishing the book! I used to point out to the pages of the book and ask questions to my little muffin, even though she would be jumping around me or would be fidgeting on my lap. For smaller ones you can ask what color something is, what sound it makes or whats their favorite part of the page. For older children ask questions about the plot or characters to get the conversation going. If children have bought into the book or story time they’re more likely to pay attention. For older children, the sky’s the limit. 5. Let them choose the books. I always encouraged my girl to pick her book, as there would be a lot higher chance she would actually let me read it if she was interested in the first place. My daughter loves listening to ” The three little pigs”, and loves the famous wolf’s dialogue “and I’ll huff and I’ll puff, and I’ll blow your house down”. She would let me read this book without much drama, but she’ll only get a few pages into her cousin’s ” The Three Billy Goats Gruff” . Which is understandable. As you get older and begin to read chapter books regularly to children, why not rotate which child gets to pick which book? And if they truly don’t enjoy it, don’t force the issue and risk giving them a bad taste in their mouth about it all. I know certain personalities of ours, tend to dislike busyness and chaos. If it’s reading time the ideal situation in our minds is everyone sitting quietly with their hands in their laps paying close attention and not uttering a word. That typically isn’t the case with small children and particularly when you have a few you’re reading to at one time. Don’t let reading time become cumbersome by becoming frustrated. The days are long but, after all, these years are so short! Ultimately, reading is a wonderful thing! Even if your little ones act uninterested that doesn’t mean they won’t become interested soon though if you push through. While there are definitely developmental and academic benefits to reading it’s also a great family bonding activity so don’t worry if you get off to a rocky start. Keep going and work together with your child to introduce them to the great joy of a good book. 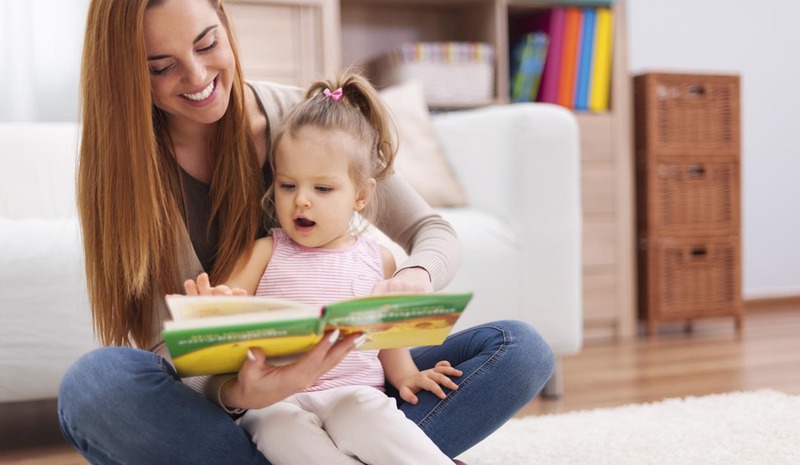 A fellow mom blogger Karuna has a wonderful article on Tips for reading to your Babies and Toddlers and Mahak has written about 15 types of board books for babies and Toddlers. NextWhy we said NO to Cord Blood Banking..